What is twitter ? Pros and Cons of Twitter . Twitter is popular online micro blogging social networking service that allow there registered user to send and read maximum of 140 character message know as tweets , you can say a kind of Social networking sms. A twitter user can share his or her thoughts and words by tweeting from his Tweet text box ,Which is publish to his Profile tweets page and make those tweets available to there follower's home page as your tweets update. Twitter was created by Jack Dorsey ( American web developer) as a privately held company in early March 2006 , He started developing his first Twitter prototype in early 2006 , On 15-July-2006 Jack Dorsey publicly released his first Twitter prototype . 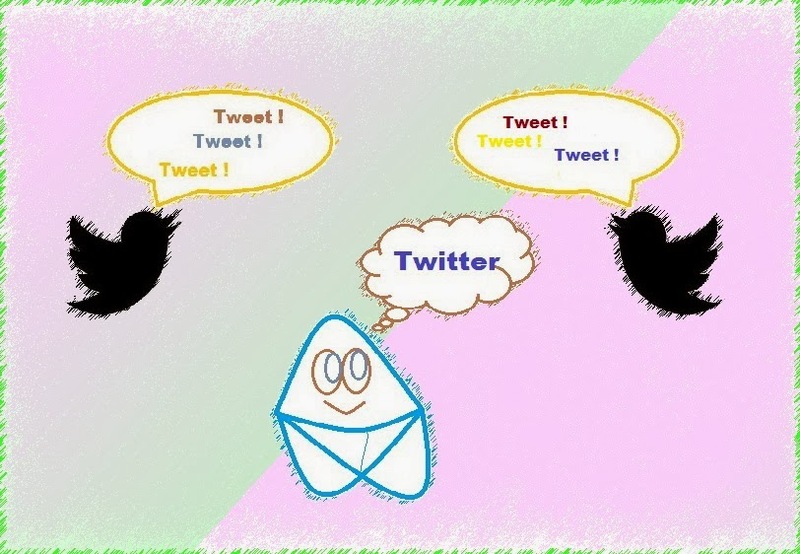 There were lot's of reason for twitter popularity among people but out of all two of them are most imporatant for boosting twitter popularity innovative idea for developing new social networking height and other one is involvement of celebrity .Twitter popularity boosted due to Celebrity's accounts on twitter . At the end of 2012 around 70% of celebrity joined twitter due to which twitter global traffic ranks is boosted like Jets . At the end of 2012 , around 550 Million joined twitter and still counting is on . In twitter , you can follow your favorite celebrities Tweets and update by following him or her.Best thing about twitter is that , all celebrity account are verified and marked with verified icon to ensure whether Celeb account is real of fake . You can Grow your business by promoting your products and events via twitter Tweets .If you twitter account is popular and have lots of follower then with just one tweet you can reach millions of people with the help of Followers re tweets . You can protect your tweets by making your tweets Private . You can track live message updates from your following peoples via your mobile ,smart phone, Tablets and Pc etc . You can even communicate with your favorite celebrity by following him ,Replying to his/her comments or by mentioning in your own tweet. You can follow as many people you like . Twitter is now more secured then any other micro blogging social networking site .Twitter recently Improved there login security by using secured connection " HTPS"
You can promote your Twitter profile by embedding your twitter profile Widget to your blog or website . You can Customize your profile background by uploading customized Background wallpaper . In twitter , You Can post up to 140 Character per tweet . (140 Character Limit make twitter popular). You can only tweet 1,000 per day also you can't just follow more then 1,000 people per day. Direct message can be sent to one user at a time . You cant upload video in twitter , however you can add YouTube video links by tweeting YouTube video links . Less privacy ,Since all of you tweets can be read by your followers instantly when you tweet them .